„We`ll see each other exactly after a year again here for the presentation of the Romanian presidency of the EU“, said the Romanian foreign minister Teodor Meleşcanu at the end of a press conference in the representation office of the European Commission in Bucharest. The public laughed. The 76-old veteran of Romanian diplomacy expressed his expectations for the future, attempting to play a little bit with those present, only a moment after the director of the representation office of the EC in Romania Angela Cristea had closed the event. Apparently, Meleşcanu was happy with his meeting with almost 50 diplomats and journalists from 21 media. So he allowed himself to express confidence in the future. 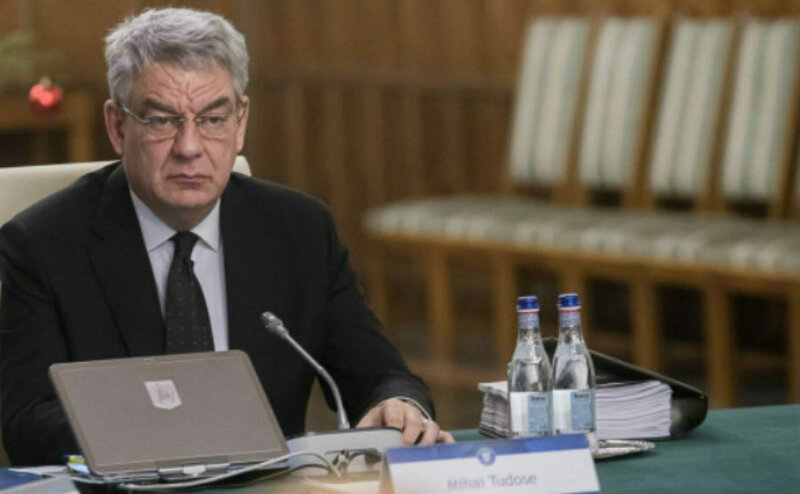 At this moment no one in the conference room, even Meleşcanu (as it is witnessed by the quote) didn`t expect that only 11 hours later the premier Mihai Tudose will resign. There was an ongoing media scandal between Tudose and the internal minister Carmen Dan, who is a close ally of the Social Democrat Party`s leader Liviu Dragnea. The prime minister accused the internal minister in lying on the occasion of appointment of the chief of Romanian police and said that he can no longer work with her. However Dan refused to resign. Dragnea showed that he protects his ally. So Tudose had to resign. This media story might sound logical, but is it plausible? A few days earlier – on 8 January, the Hungarian parties in Romania issued a joint declaration, which asked for autonomy of the so-called secui region (secui is a name used to refer to the Romanian Hungarians, who live in three disticts in the central part of the country). Then Tudose said that if secui’s flag flies above the state institutions in the regions with Hungarian minority, local administrators also would fly around it. This expression added fuel to the burning diplomatic tension between Bucharest and Budapest. There was also symbolic violence by the Hungarian side, as the emblem of the Romanian embassy in Budapest was covered with the flag of secui by Hungarian protesters. Could the complicated political case of the autonomy (Romanian en masse refuse the desires of the Hungarian minority in this direction) be one of the motives that have contributed to Tudose’s resignation? An echo from the Hungarian-Romanian dispute appeared at the press conference on 15 January. 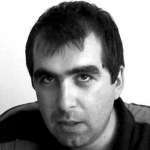 But it had another stated topic – the Bulgarian presidency of the EU, which had just started. The Bulgarian ambassador in Romania Todor Churov presented Sofia’s priorities in English. He talked about digitalisation and future of labour, about problems, connected with migration and Brexit, about the principles, that will be followed by Bulgaria as it contributes to Western Balkans appropriation to Europe. The popular video clip of the Bulgarian presidency was played in the conference room. Alongside other Bulgarian virtues, it claimed that Bulgaria has the fastest internet in Europe. The video was lauded with applauses, but it probably surprised a part of the public, because Romanians also cite statistics that declare them to be champions of internet speed. The Bulgarian ambassador thanked the Romanian side for its shown interest and desire to communicate on the occasion of the Bulgarian presidency. Apparently, Romania will use the Bulgarian experience in the organisation of this six month foreign policy role. A journalist from the Romanian National Radio asked ambassador Churov about the disputed anti-corruption law, which was adopted this year by the Bulgarian parliament in spite of president Rumen Radev’s veto and about the criticism of the European institutions about the legal order in Bulgaria. The ambassador answered with restraint, in the spirit of classic diplomacy. According to him the European Commission has never criticised Bulgaria for lack of rule of law, and has only wanted a judicial reform. Now that the law has been adopted, it remains to be seen whether it will work out. Even the best legal texts don’t obligatory achieve results in the real world. That is why we need to wait and see what will follow, said Churov. Answering another question, he pointed out that NGOs, business and trade unions have participated actively in the preparation of the Bulgarian presidency. In fact there was another opinion, which adressed the ambassador. It belonged to a diplomat from Montenegro and didn’t contain questions. The diplomat said how important for his country was the support, which Bulgaria announced for the European future of the Western Balkans, because Sofia understands perfectly the regional problems and challenges. “I think that Bulgaria will be the best advocate for the European perspective of the Western Balkans”, said the diplomat. He added that he was happy to hear that countries from the Western Balkans will be judged by meritocratic standards on their European way. In other words, every country will move forward in accordance with its shown results. The meeting with media was much more difficult for the Romanian foreign minister Meleşcanu. Asked about the political crisis that had been unfolding, he said that every member of the government is “replaceable”, without hinting that only hours later the cabinet would go into non-being. Tudose’s resignation, which followed in the evening of 15 January, led to a situation, when the Japonese prime minister Shinzo Abe didn’t have an equal partner with whom he could meet during his visit in Bucharest. It happened, while the president Klaus Iohannis launched the idea for signing of a strategic partnership between Romania and Japan. Meleşcanu was laconic also with regard to the diplomatic crisis with Hungary. He said that he is preoccupied with the normal functioning of the Romanian embassy in Budapest and his actions in international plan have been aimed at this goal. In his own speech the Romanian foreign minister underlined that Romania is interested in the development of cooperation with the Danubean and Black Sea region, which might be interpreted as a sign that both geopolitical spaces might be a priority for the Romanian presidency of the EU (January – June 2019). The site ”Baricada” asked Meleşcanu what concrete initiatives could be realised by Romania in this direction and whether the idea for the creation of a Black Sea macroregion of the EU (supported also by some Bulgarian diplomats and members of the European Parliament) could be among them. In his answer Meleşcanu was not concrete. But as seen in the video that follows with English subtitles, he saw two topics of interest for Bucharest – regional cooperation and development in the frame of the Black Sea international organisations and the greater involvement of the EU with funds, values and good management in the relations with the Black Sea countries. Baricada has written before about the idea that the creation of a Black Sea macroregion of the EU could become a priority for the Bulgarian presidency of the EU. The Bulgarian government preferred to give a lower priority to the Black Sea cooperation and focused on the Europeanisation of the Western Balkans. It is interesting whether Romania will be the country, which will realise through its residency the idea for a more intensive Black Sea cooperation and more active EU role in the region. Such activities would lead to a fall of tensions in the regions and to more connections and development for the people around the Black Sea. The conference room “Titulescu” would probably host again diplomats and journalists after one year – in relation with the Romanian presidency of the EU. Would the foreign minister be called Meleşcanu again? In fact he conducts this ministry for a third time. So, Tudose`s resignation shows that in Romanian politics everything is possible.